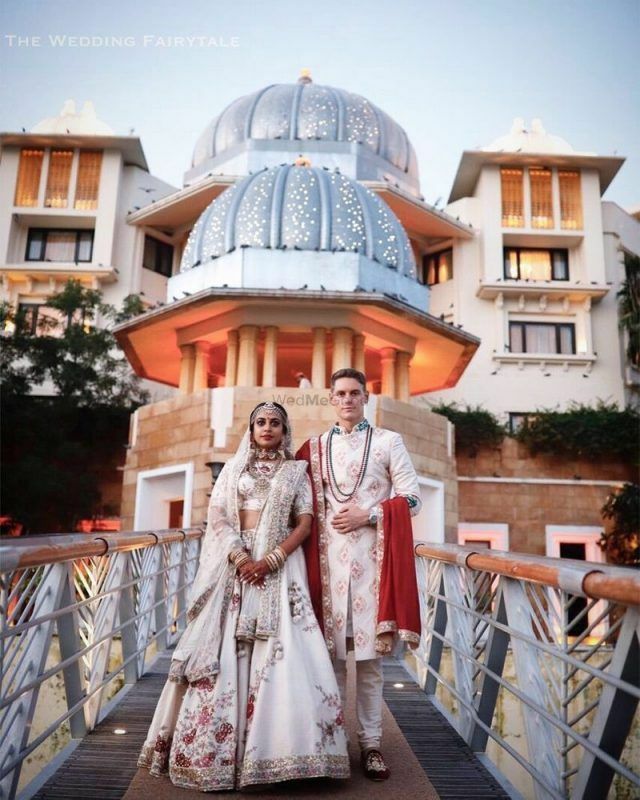 Whether you're a bride reading this or a groom, fact is, grooms all over are upping their game and are no longer the same old boring beige/gold ones. 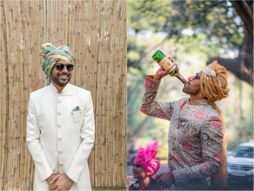 Here are some cool new ideas for grooms which are amazing to implement- and especially for 2019 grooms.. so guys, pick some ideas and enforce them! 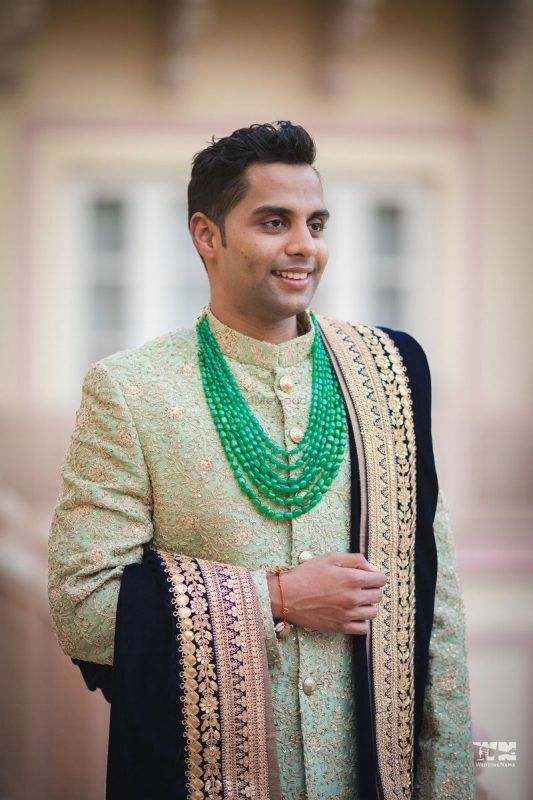 This is a new hue we are spotting on more and more grooms and it's a fresh new one we love! 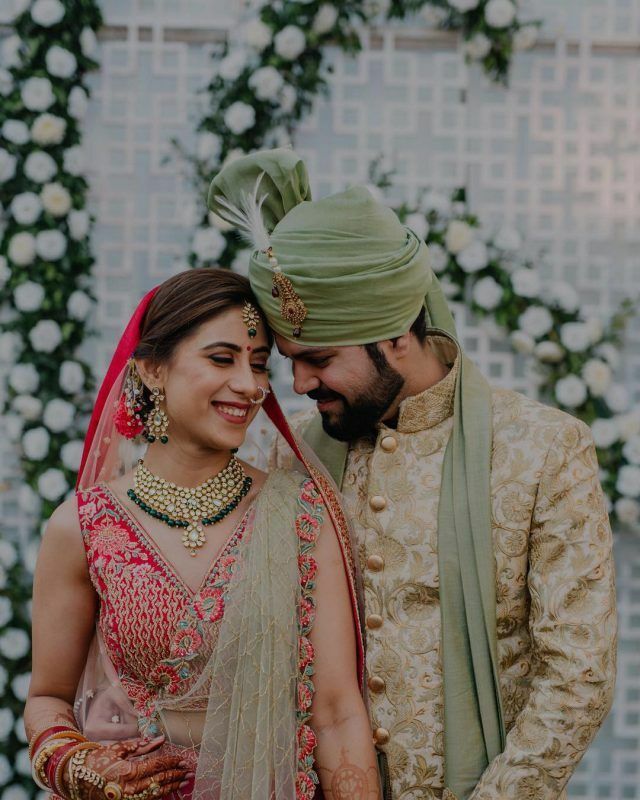 Matching safa to bride's dupatta! This is a cool thing we've been noticing off late, and looks so amazing in photos! 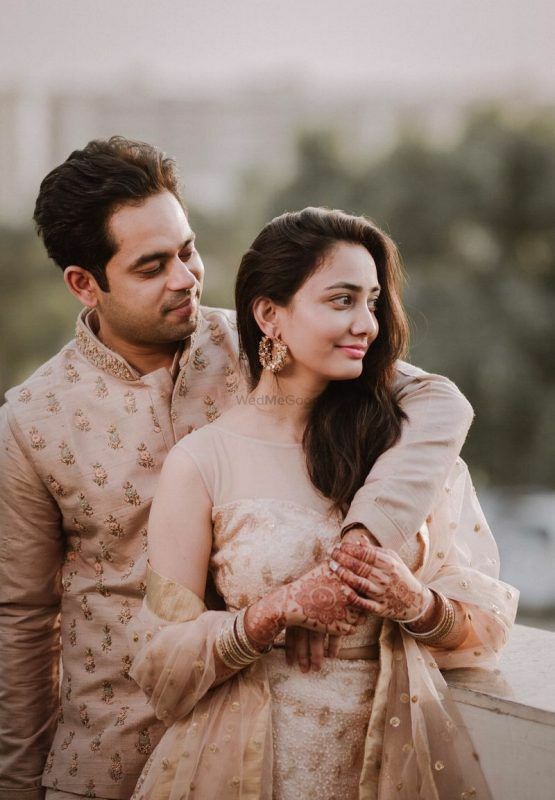 This is also something we've been noticing more and more couples experiment with. 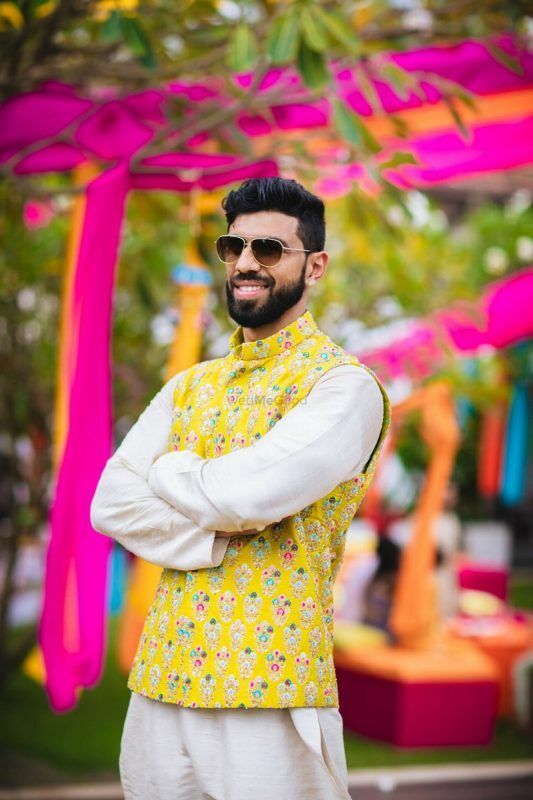 Bold florals that pop on bright colours! 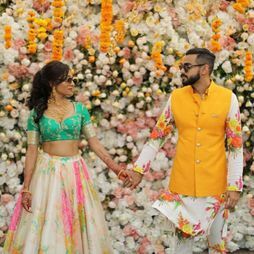 More and more grooms are rocking bold florals- whether its on neutral shades, pastel ones or bright colours looks amazing for every big or small function! Looks so dapper and smart! 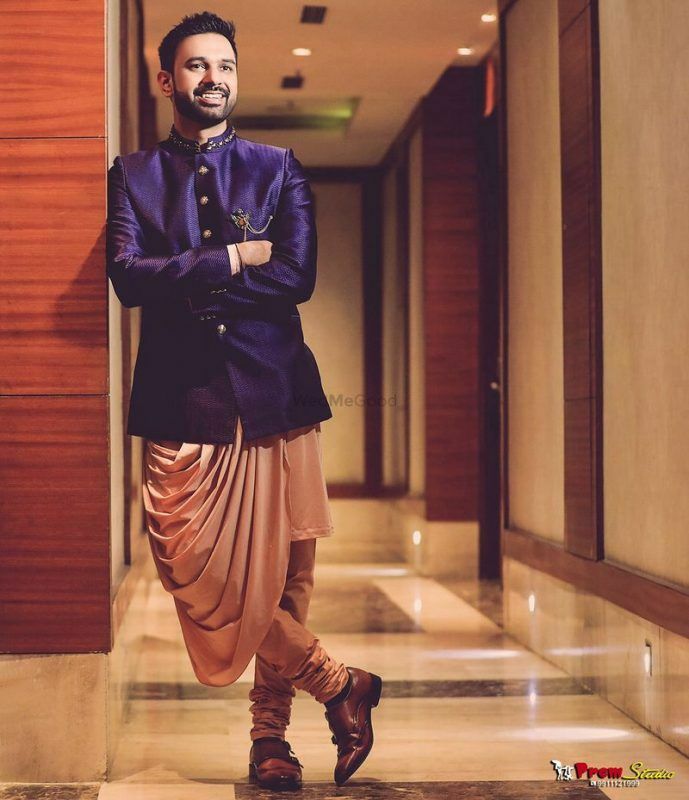 Shantanu and Nikhil use a lot of them in their groomwear, and we love the whole vibe of it. 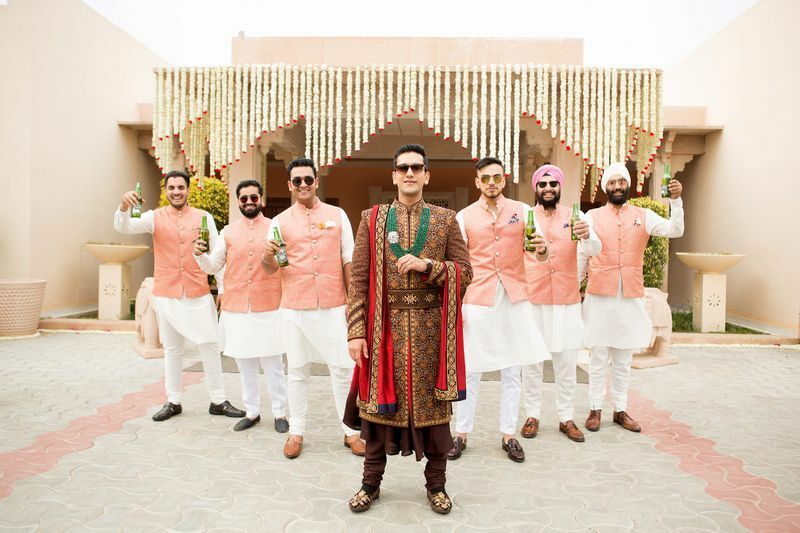 Grooms are getting quirkier by the day, and it is a trend that we love when they carry it off in style! 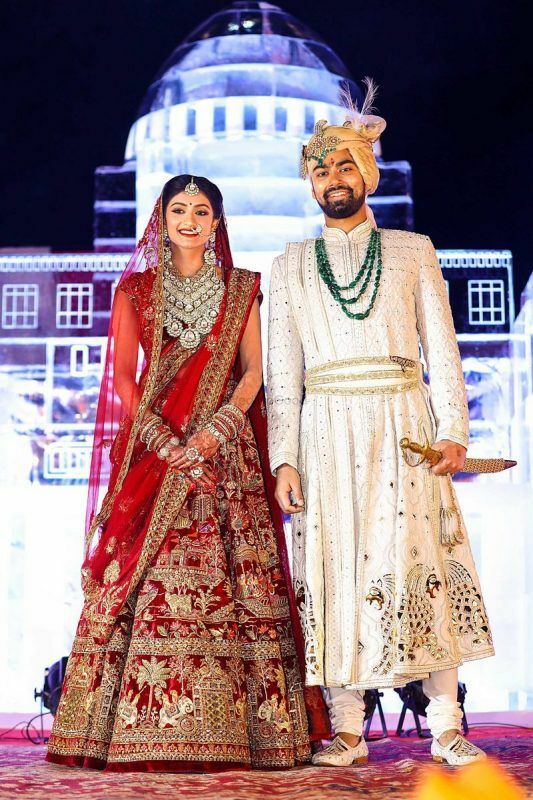 Sherwanis with waist belts are the new cool trend to have, and this is one thing that works well if you're going for the royal look! 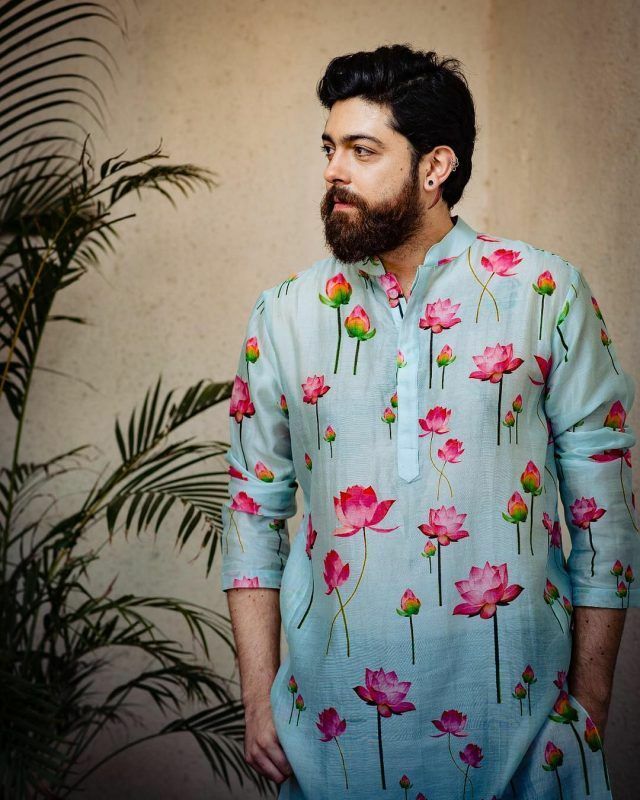 Offbeat new silhouettes like Mananarkalis! 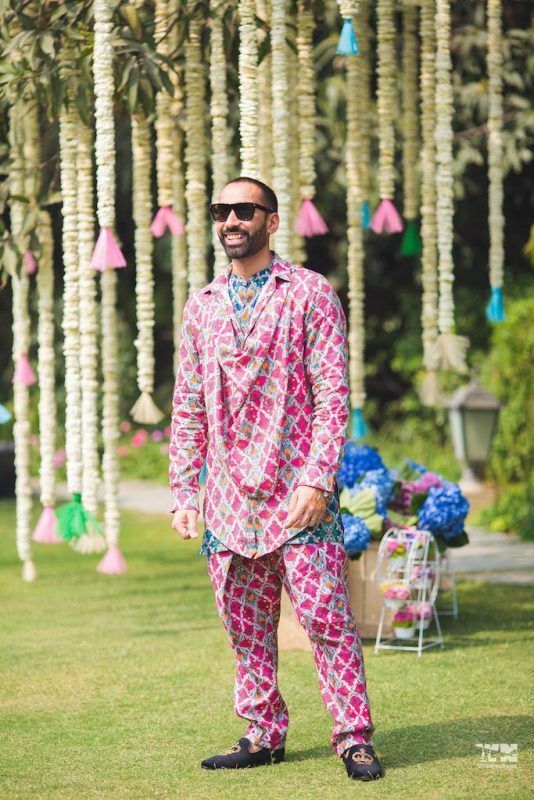 New and unique silhouettes like Manarkalis and draped kurtas look nice and so different! 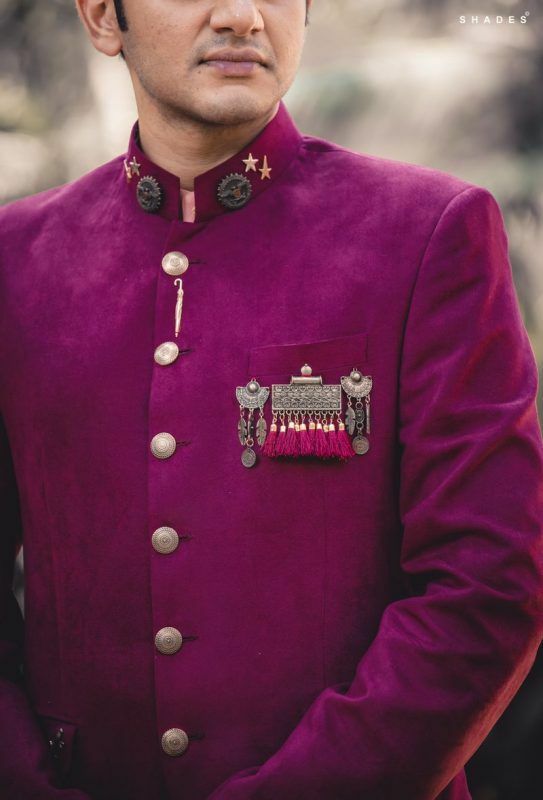 Winter grooms - this is a trend you've got to embrace! Looks so nice when it is embellished or with some fancy embroidery! 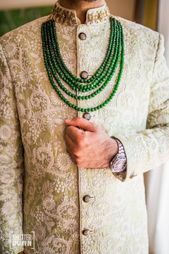 Grooms are taking things up a notch, and getting very experimental with their jewellery with statement necklaces and we love it! 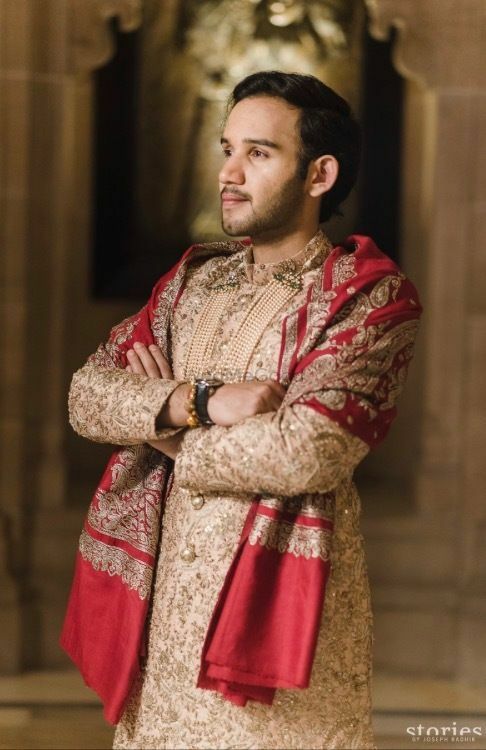 This is one safa trend we spotted and liked from a recent wedding, and it looks super classy! 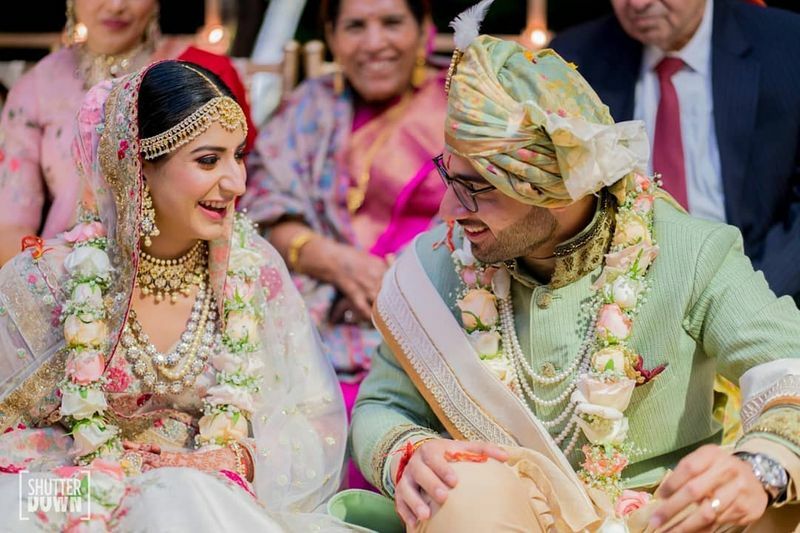 ALSO READ: 11 New Groomwear Trends For 2018 Weddings! 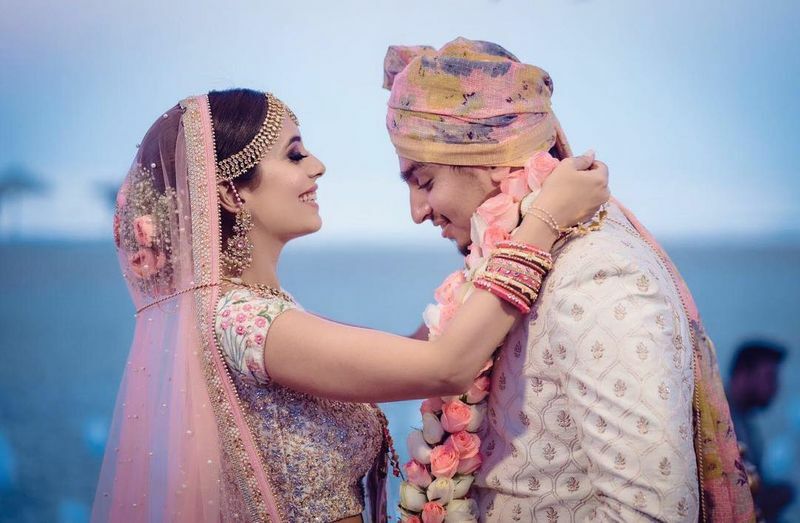 11 New Groomwear Trends For 2018 Weddings! 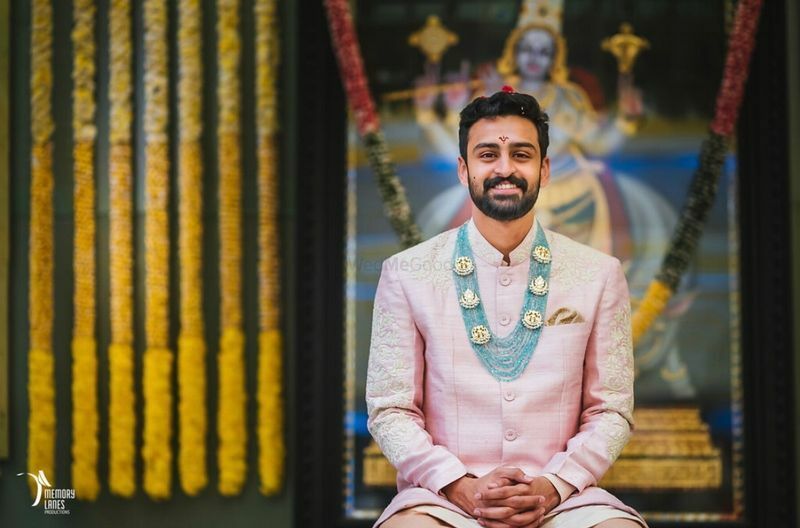 7 Refreshing New Trends We Found On Grooms These Days! 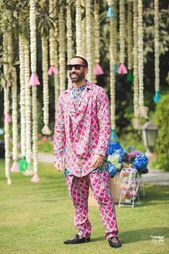 We Took 45K To 6 Groomwear Stores For A Dapper Sherwani! 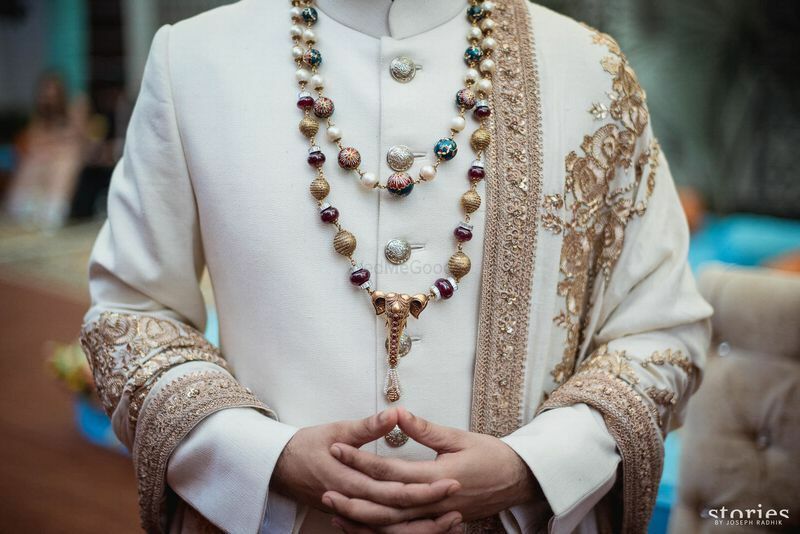 The Ultimate Guide On Picking The Perfect Wedding Sherwani! 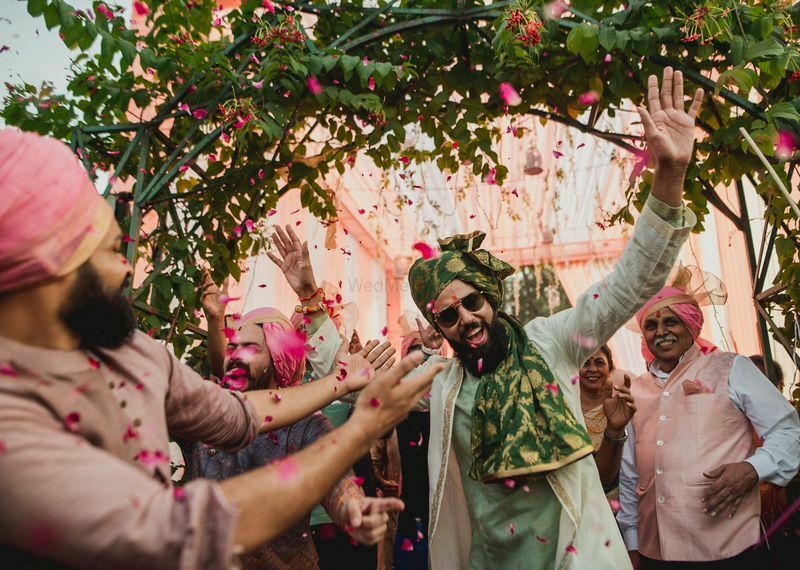 The Newest Ways Grooms Are Co-ordinating With Their Brides To Perfection! 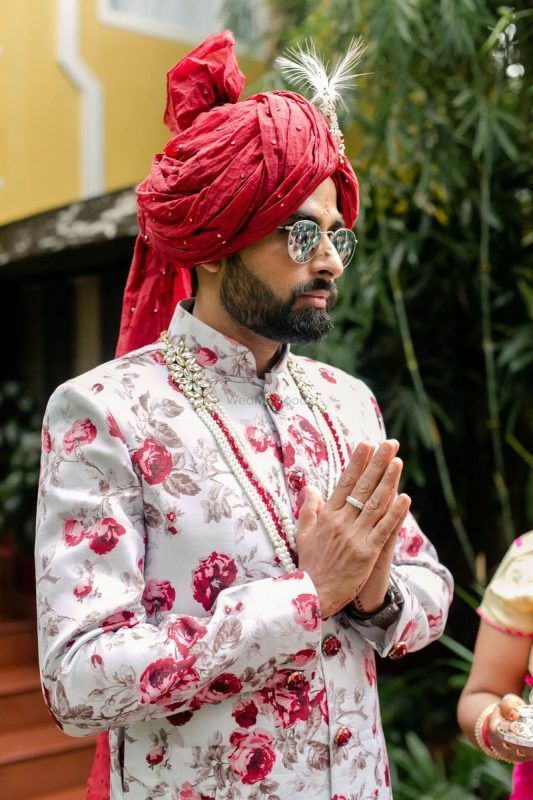 Real Grooms Who Wore The Quirkiest Outfits!